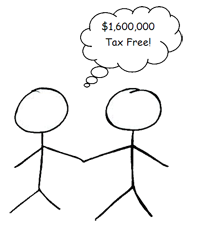 Many Canadian business owners are advised to form a Family Trust in Canada considering its many advantages, in particular saving taxes. However, very few business owners are aware of the steps required to actually form a family trust. This article will cover: (A) How a family trust operates and (B) The steps needed to establish a Family Trust in Canada. When is a Family Trust Created? The property which is transferred by the settlor to the trustee to establish the trust is clearly identified. Although the above conditions seem relatively simple, this alone is not sufficient. The actions by the settlor and trustee subsequent to the creation of the family trust will play a strong factor in determining if the trust is valid. Family trusts in Canada primarily consist of three key individual: (A) The settler, (B) Trustees and (C) Beneficiaries. A family trust with only one individual playing all three roles would not be considered a valid trust. It’s important to consult with your legal counsel or accountant when setting up a family trust to appoint a trustee who is a third party (distinct from the beneficiaries and settler) in order to avoid a conflict of interest. Settler: The settler creates the family trust and specifies the rules that the trustees must abide by when governing the trust. The settler will also specify the beneficiaries of the income and capital distributed by trust are and the circumstances under which the beneficiaries will be entitled to that income or capital. The settler initially contributes property to the family trust in order to establish trust in compliance with trust law and is the only person allowed to contribute any property to the trust. 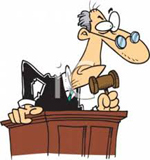 Trustee: The trustee is the individual who will administers the property placed in the trust. This includes distributing income or gains from the property to the beneficiaries in accordance with the rules setup by the settler. 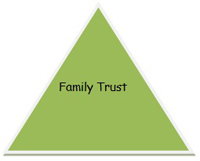 There may be more than one trustee in a family trust. The trustee is responsible for the beneficiaries and is required to always act ethically and in the interest of the beneficiaries. Trustees are entitled to receive fees for performing their duties. Beneficiary: Income beneficiaries are entitled to receive income from the trust and capital beneficiaries are entitled to receive capital from the trust, either during its existence or when the trust is wound up. 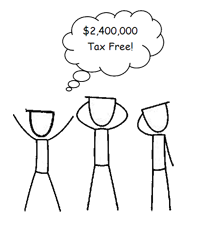 Capital beneficiaries may also be income beneficiaries. Name of the Family Trust: A Family Trust name is not registered legally with the CRA or Ministry of Government of Services. The Family Trust name will consist usually of your last name and the term “Family Trust”, for example the “Smith Family Trust”. Settler Name: A Family Trust requires a settler as detailed above. Your accountant will require the full name and address of the settler along with the settler’s relation to you (if any). It’s common for the settler to be a grandparent, or close relative. It’s important that the full legal name of the settler is spelled out in the family trust deed and not his/her nick name or short name. Trustee: The Family Trust deed will require the full name and address of the trustees who will be administering the family trust. 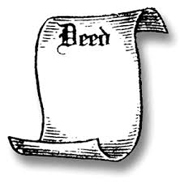 Upon signing the family trust deed, it’s a best practice to have a witness. Date: The Family Trust deed will require a ‘creation date.’ This is the dated when the family trust is created or formed. Hi Kash, our fee is $1,500 to setup a Family Trust. 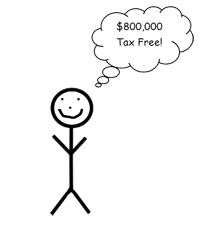 Yearly filing fees (trust return) start from $500. Disbursements and taxes are extra.